On 10 March 2017, Mayor Ricardo Villarreal of the city of San Miguel de Allende adopted the IFI Interiors Declaration. 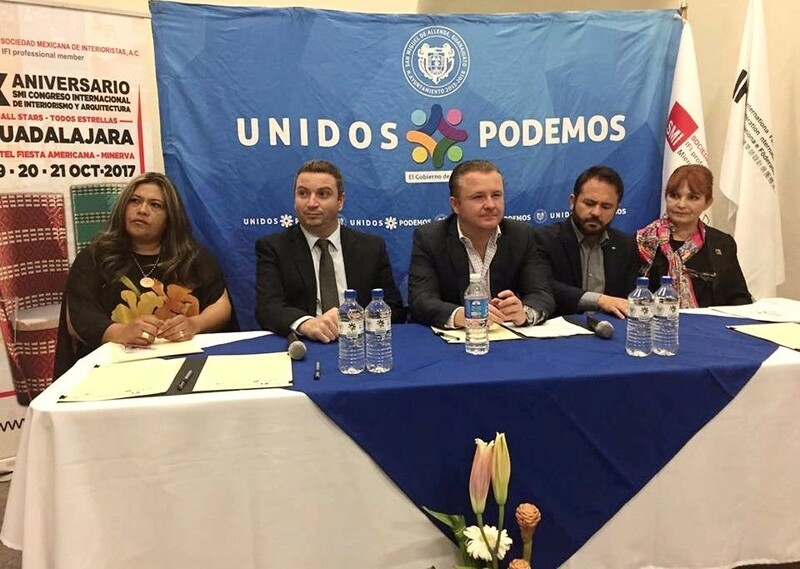 The adoption was organized by IFI Professional Member, Sociedad Mexicana de Interioristas (SMI), and initiated by SMI President, Julio Cesar Chavez. Representing IFI at the adoption ceremony were IFI Executive Board Members Lucy Topete of Mexico and Albert Fakhoury of Lebanon and the UAE, who attest to the great value San Miguel brings to global interiors. San Miguel’s Interiors Declaration proclaims the city’s commitment to enhancing life-quality for its citizens through and by principles of Design. For more information on this adoption, please see the IFI President’s Message.